NOTE : To send these commands to other computers across your network you need to have administrative privileges on those computers. 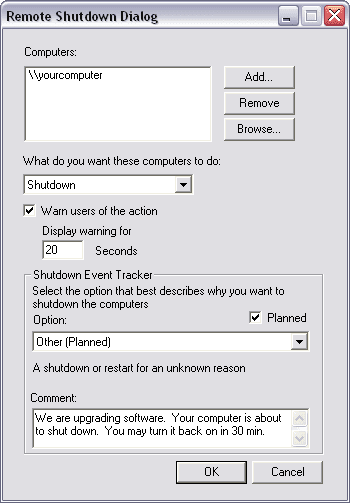 An easy way to see if you have administrative privileges on a networked computer is to try browsing to it. 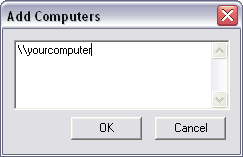 Click start, click run, type \\yourcomputer (replace yourcomputer with your computer’s name of course) and press enter. 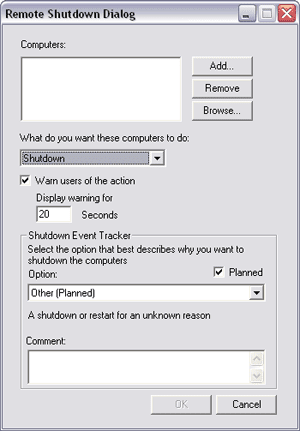 If you are able to access the computer you will be able to send shutdown commands to it. If you get asked for a password or it denies access you don’t have administrative privileges and you won’t be able to send shutdown commands to that computer.